The Birkel company is Germany’s No. 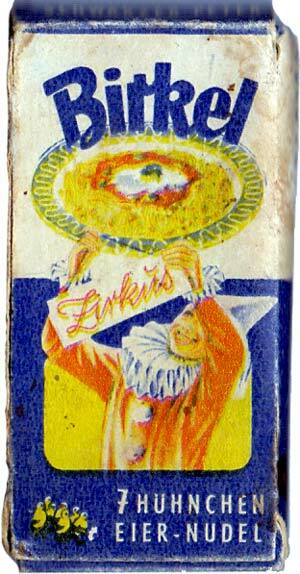 1 noodle manufacturer and the first Birkel-brand noodle products came onto the market as early as 1902. The company has produced several promotional “Schwarzer Peter” packs over the years and this one is themed on the circus. 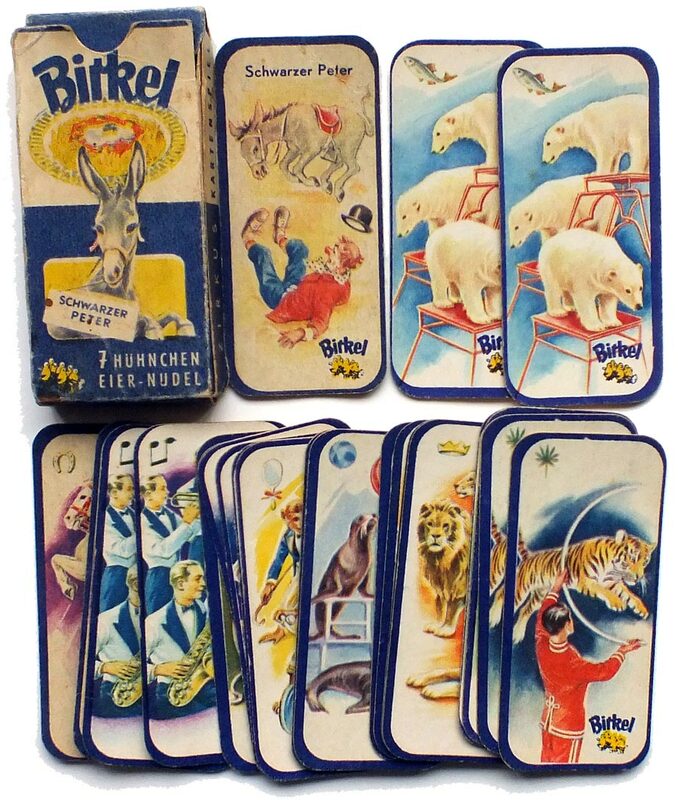 Noodles can be seen on both sides of the box and the Birkel logo is printed on each card, showing typical circus acts. 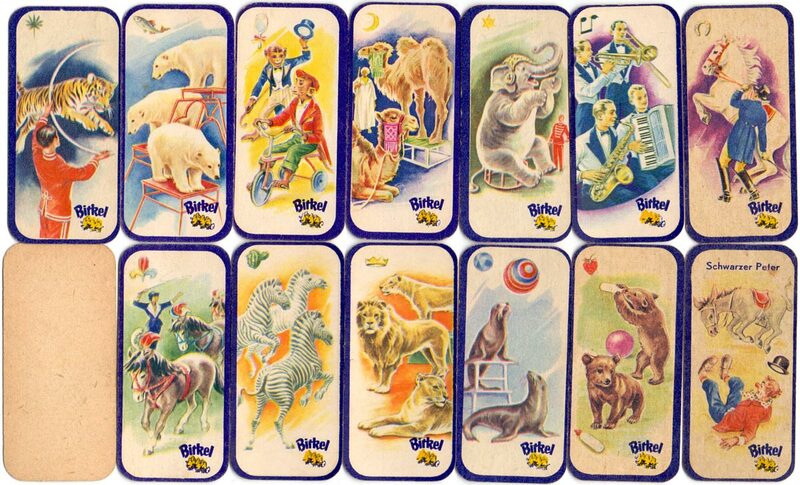 The set contains 12 matching pairs of circus cards plus a “Schwarzer Peter” card showing a clown being thrown off a donkey. This is the “loser” card and the object of the game is complete matching pairs and to avoid being left holding this single card. Above: Birkel Schwarzer Peter Zirkus Kartenspiel, 25 cards in box, c.1950.